Johnny Depp’s personal assistant, Stephen Deuters, is claiming the text message exchange between himself and Amber Heard are suspicious, according to TMZ. “The texts that were posted in which he allegedly apologized to Amber Heard for Johnny’s violent behavior are heavily doctored … and he never said Johnny attacked her,” Deuters told TMZ on June 2. 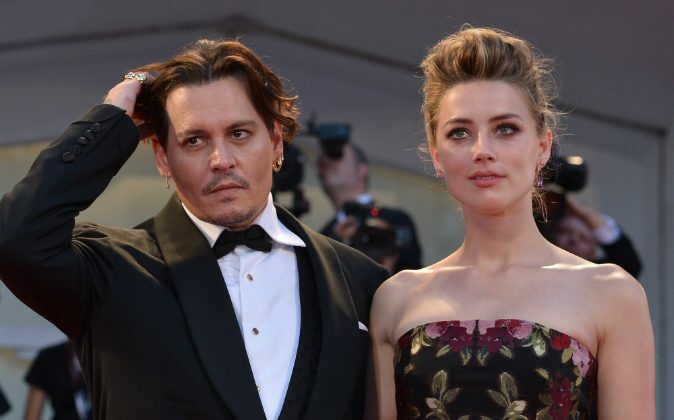 Amber Heard has made allegations against the 52-year-old actor, claiming she suffered physical abuse on numerous occasions throughout the tenure of their relationship. Photos and text messages have corroborated the alleged abuse. In a text exchange between Deuters and Heard, Deuters appeared to apologize for the actions of Depp. Heard’s alleged response included uncertainty in wanting to remain in a relationship with the “Pirates of the Caribbean” actor. “Obviously he has no idea what he did or the extent that he did it. If someone was truly honest with him about how bad it really was, he’d be appalled,” she wrote. The personal assistant called the released text messages “suspicious” because no dates were present. To prove it, Deuters is willing to testify under oath that a conversation between Heard and himself about alleged abuse never took place. Depp and Heard are currently proceeding with a divorce after nearly 16 months of marriage.